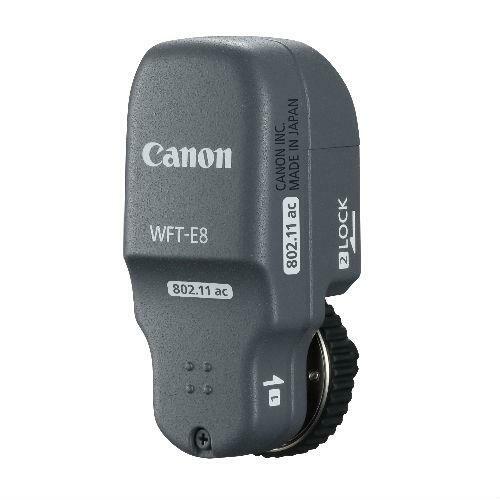 For fast and easy wireless transfer of your image files, this Canon WFT-E8B WiFi Tansmitter allows the camera functions to be remotely controlled and monitored by any web-enabled device. In other words you have control of your camera over a wireless or wired LAN. Synchronise up to 10 cameras wirelessly from a "master" camera. Also link the master camera to the WFT Server for even more external control.